EN ISO 12100 gives design engineers a complete overview of the manufacture of machines, which are safe for their intended purpose. 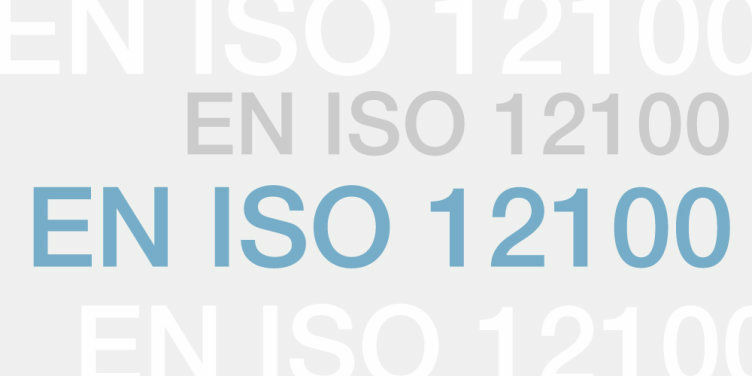 The standard EN ISO 12100 largely combines EN ISO 12100-1 and -2 as well as EN ISO 14121-1. The term machinery safety looks at the ability of a machine to fulfil its intended function(s) during its service life, whereby the risk has been sufficiently reduced. The aim of Part 1 of EN ISO 12100 is to define the basic hazards, thereby helping the designer to identify relevant and significant hazards. The harmonised standard EN ISO 12100 defines important procedures for safety-related systems and safety-related parts of machinery and plant control systems. Based on this fundamental standard, other harmonised standards such as EN ISO 13849-1/-2 and EN 61508 and its sector standard EN 62061 describe the design, construction and integration of safety-related parts of control systems and safeguards.